In many cases, software products all have the same functionality or close to the same functionality. The success of a solution mostly lies in the hands of the implementation partner. 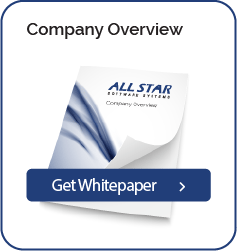 All Star has core values in place that dictate a different level of effort and implementation methodology. These core values separate All Star from our peers and have been the driving force behind the success of All Star with our customers. The below testimonials are a result of our core values and best practices pertaining to implementing business process automation solutions.